Westerby Investment Management will be hosting their autumn seminars at The RAC Club in London and Leicester’s Y Theatre next month. 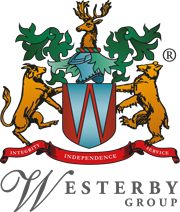 The Westerby team will provide an insight into Inheritance Tax Planning and Cashflow Modelling in retirement. They will be joined by key investment strategists from Tatton who will give an insight into investment markets over the last 6 months with an outlook to April 2019. New measures announced include an earlier than expected increase in the income tax threshold and the higher rate threshold, plus a rise in the annual investment allowance (AIA) from £200,000 to £1 million for two years. The AIA is an allowance for tools and equipment meaning a business can write off 100% of qualifying capital expenditure against taxable profits for the same period. The Chancellor’s financial package also includes a business rates bill for firms with a rateable value of £51,000 or less to be cut by third over two years and £900m in business rates relief for small businesses, with £650m to rejuvenate High Streets. The conference at Leicester’s Y Theatre on East Street, will take place on Tuesday 6 November with bacon rolls provided at 10am followed by presentations from 10.30 -12pm. PreviousPrevious post:Autumn seminar success for Westerby Investment ManagementNextNext post:Should all SME’s use a SIPP or SSAS to purchase Business Premises?